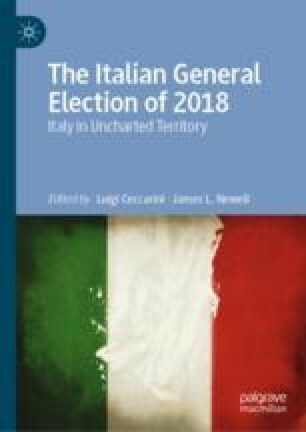 The Italian general election of 4 March 2018 was highly paradoxical in that it changed little or nothing while at the same time changing everything. On the one hand, though vote switches and changes in the distribution of the vote were at record levels, this, unlike the past, was not because of the emergence of new political protagonists. On the other hand, the election brought to power a coalition consisting of two outsider, populist, parties, the League and the Five-star Movement, with echoes and profound implications extending well beyond Italy’s borders. This chapter introduces the story of this remarkable event by providing the basic background information required to make sense of the material in the following chapters, covering, first, the line-ups among which voters were required to choose and then the institutional framework within which the election took place. From there we present the most salient features of the election outcome, the election context and the election campaign. Kriesi, Hanspeter. 2008. Globalization and the Transformation of the National Political Space: Six European Countries Compared. European Journal of Political Research. https://onlinelibrary.wiley.com/doi/full/10.1111/j.1475-6765.2006.00644.x.